Slip into a Stylish Solution with Samsung�s Moving New Mobile, SGH-E800!! The new SGH-E800, a creative and cool handset is outfitted with a soft-touch slide design and a camera with a distinctive hidden flash.Look closer, and you will find that it has all of the most powerful features available in mobile technology today. This GPRS gem utilizes WAP for web surfing, and MMS technology for messaging. It doesn�t get any better than this! The SGH-E800 makes it possible for you to communicate anywhere and anytime, with ease, and flair. Take a real close look, and make the SGH-E800 the �flashy� choice for your communications needs. 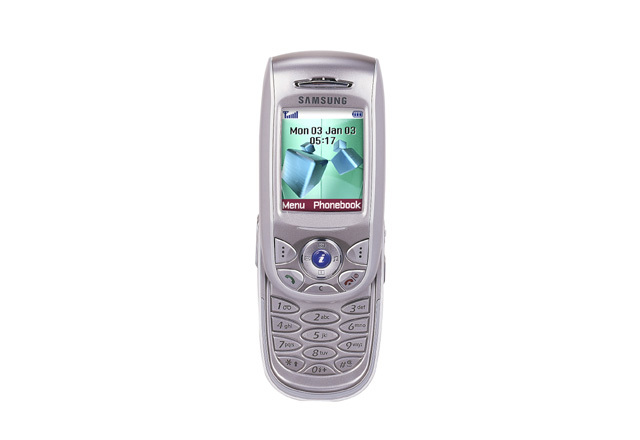 Coolnewmobile - Offering the latest Contract Phones including the Samsung E800 at the most competative prices around. We offer fantastic mobile internet phones all with FREE text messaging*, If you want an O2 mobile phone why not buy it now from O2. They also have some good deals on the Samsung E800.